Product prices and availability are accurate as of 2019-04-17 20:51:37 EDT and are subject to change. Any price and availability information displayed on http://www.amazon.com/ at the time of purchase will apply to the purchase of this product. 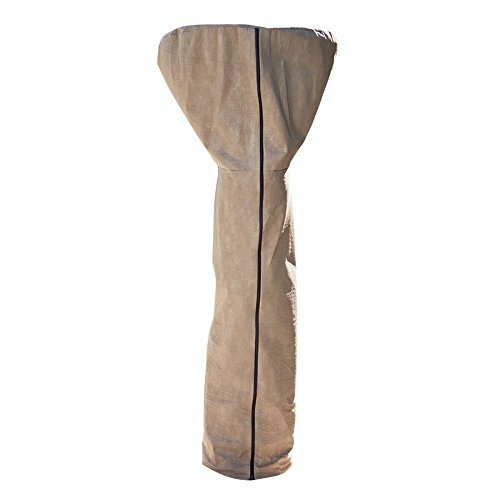 Your patio heater kept you on your outdoor living space throughout the fall, but once the snow starts to fly the Duck Covers Elite Patio Heater Cover is there to protect it over the winter. 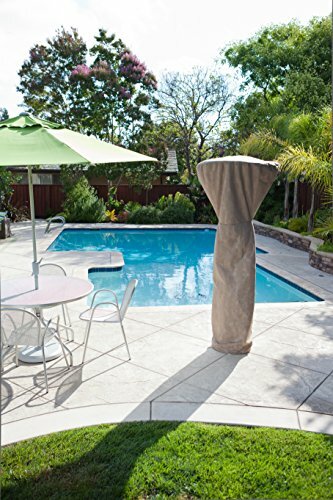 Designed for harsh weather and strong, winds, this cover is made of durable polypropylene that is UV-treated so it won't crack or fade over time. It comes in a handsome cappuccino color so looks great on your deck or patio. The cover is made of an innovative, multi-layer material that creates airflow to eliminate condensation. A full-length zipper makes it easy to install. About Flexible Storage Group Helping you make the most of your space, Flexible Storage Group manufactures innovative products designed to extend storage solutions beyond the traditional options. They do this through cutting edge products like Ball Hog, Duck Covers and RackZilla. Flexible Storage Group's products are designed to help you organized and protect your valuable property. Dimensions: 36 diam. x 86H in.. UV-treated polypropylene construction. 100% waterproof design. Cappuccino color. Full-length zipper with pull cord. Breathable material eliminates condensation. Lightweight so is easy to fold and store.